At The Pennbriar Athletic Club we believe health and fitness should be a part of everyone's lifestyle. 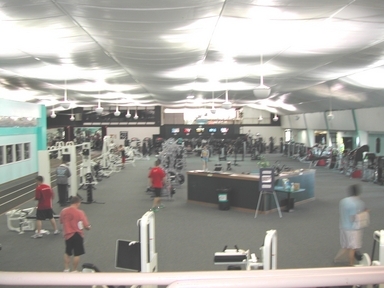 In order to accomplish this, we offer a variety of options from racquet sports and swimming to assorted land and water group fitness classes with one massive fitness floor. Ohhh, and not to mention our convenient KidZone Care! Not only are we accommodating to different physical fitness interests, but we recognize the importance of friendly customer service. We care about you as an individual and enjoy watching our members thrive. Transform your workouts from a chore into a life changing experience. loves coming to The Pennbriar! Be Healthy. Be Happy. Be Here.